Hi guys! Have you heard of Elf Cosmetics Color Correcting Stick yet or what’s it for? If you don’t then grab a chair and continue reading till the end. Lavender: Corrects a tired, pallid and yellow complexion and creates a fresh and immaculate complexion. Yellow: Minimizes extremely dark pigmentation spots and blueish dark circles. Apricot: Corrects dark spots and dark circles. Also suitable for more olive-colored skin types. Color Correcting Sticks are concealers that help balance and correct skin tone for a flawless look. The Peach illuminates and conceals dark circles for light skin tone while the Orange is for deeper skin tones. I just picked up one product from this range since that’s what I wanted to try for my under eye circles. So, today I’m really excited to do a first impression on the Elf Cosmetics Color Correcting Stick and the shade I got is in the color Peach. It says on elf website – the peach color helps to illuminate and conceal dark circles or hyper-pigmentation on light skin tones. This formula is infused with Vitamin E to help hydrate the skin which I think is great for the undereye circles. In case you haven’t heard, all elf products are cruelty free and 100% vegan. The consistency is right and it works well. I really enjoy wearing this for the first time. I have to say though that the formula is a little creamy compared to others that I’ve tried over the past but I love how easy it is to blend. You get a lot of product in each stick. It looks like a pencil crayon that you twist the end to click up more products. This lightweight finishing cream to powder is great for all skin tones enhancing the look of foundation or bare-skin. It’s quite a thick formula and goes on quite heavy but the good thing about it is that it blends out amazingly. I’m just using my fingers to blend it out. It doesn’t really set or anything which means it gives me time to blend out. It’s a thick creamy formula that’s not heavy under the eyes and doesn’t get cakey. What I like about this corrector is that it neutralizes my dark circles very very well. I’m quite impressed! I’m going to keep trying this as it blends flawlessly that it’s not obvious I’m wearing a color corrector to hide my dark circles. This could be my new found love! I think it’s an amazing find especially for I think it was like less than CAD$6. Good job elf! So that’s it for my first impression review and hope this helps. Thanks so much for stopping by! ELF has some really good products at affordable price, would love to give it a try! I actually haven’t heard of these. But after reading your post, I need these in my life! Thanks for the honest review. I absolutely LOVE the price tag on this product, very reasonable! I’ll have to look for this next time I’m out and about. I have never heard of ELF correctors. I might try them if I thought I needed something like this. I have never heard this brand before but the name of the brand sounds really catchy and it looks like a good one, will share to my sister I am sure she will like it. I really like several ELF offerings, especially their brow powder. Their products are super affordable and flexible, with so many color options! Oh this is so awesome…I love these colors. 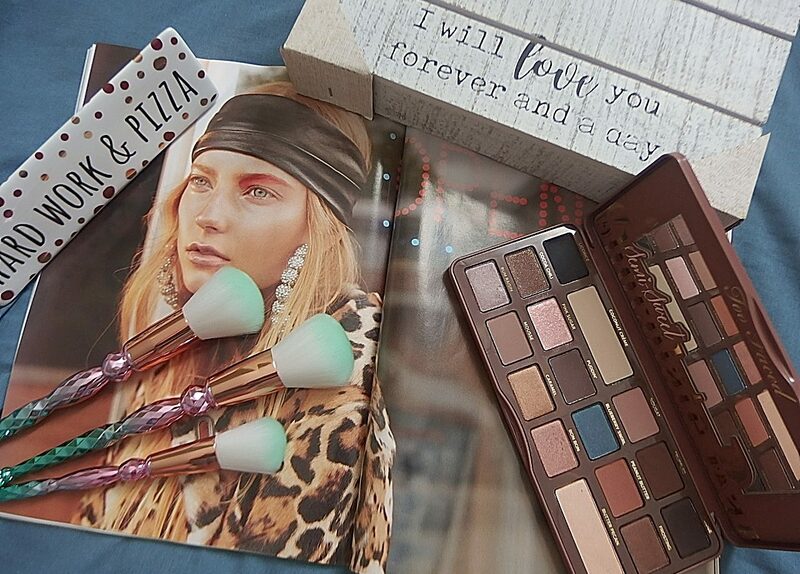 Such a pretty palette…so perfect. I love how creamy that looks (and apparently, it actually IS according to your review!) I hate when makeup is hard to blend – especially if you’re trying to apply it under your eyes as the skin is so thin already. Pretty great price for a product that does a lot of things! I want to try the lavender color! I had no idea about the various uses of color correcting sticks, thank you for sharing. Glad to know this helps! This is a really pretty shade. I would really love to get my hands o some and try this out. It looks like a really vibrant and thick color! I love their stuff so much and it’s so affordable!! I like the colors, they are perfect for the summer. The purple polish is pretty too. I adore ELF products. They are at a great price point, and I have found some products that I really love from them. Thanks for introducing these products to me, too! I like ELF as a brand I think they make some really good products for the price they are. This looks great. I have been loving E.L.F products but I have not tried these. Will give them a go, thanks! Thanks for sharing the review. I think I’ll give this a try.